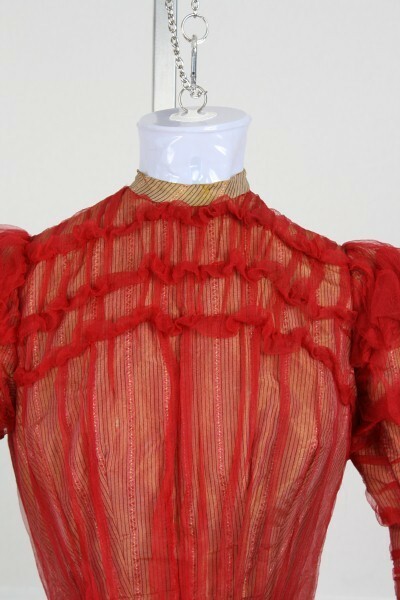 Up for auction is this gorgeous 1890's Red Ruffled Lace Bodice. 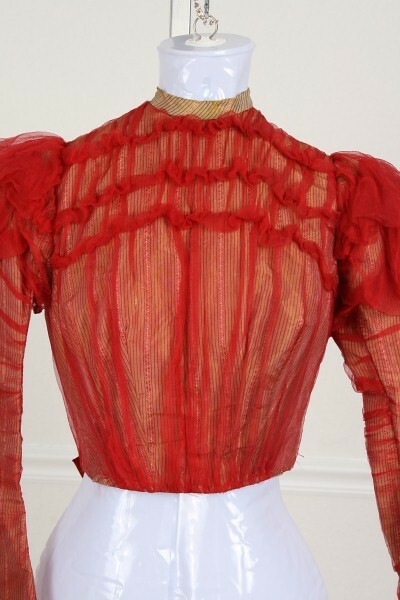 The Lace is red followed by a pale beige and brown pinstripe layer of silk followed by light buttoning underlayer. 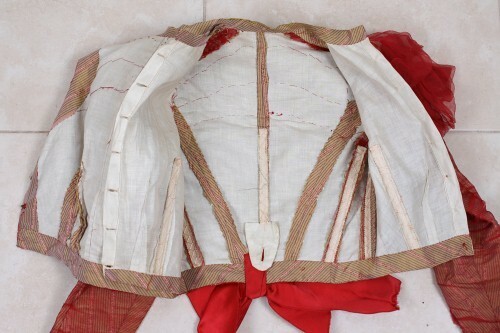 The top layer crosses over the bust and closes with hooks. 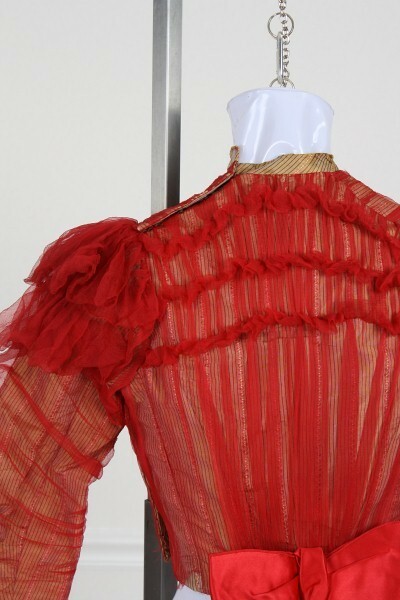 The collar shows the pinstripe detailed fabric, the shoulders are ruffled, there are ruffles across the bust, the back, and at the cuffs. 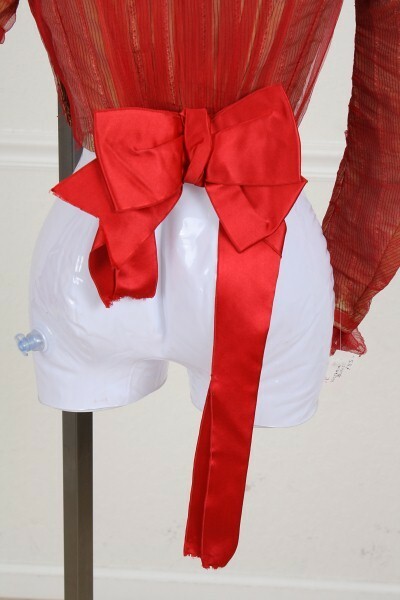 There is also a red silk bow in back. The inside has bustle support in the back and boning. Length from neckline to bottom = 15.5"
Shoulder to Shoulder = 12"
The condition of this piece is wearable but could use some care. 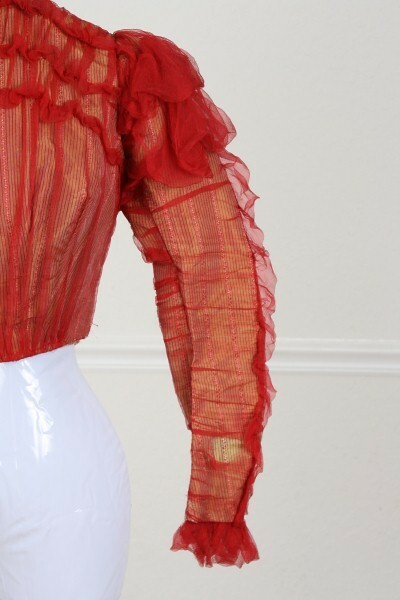 There are some breaks in the lace in the arms, slight separation in collar fabric, and damage to the bow. The inside is completely intact. 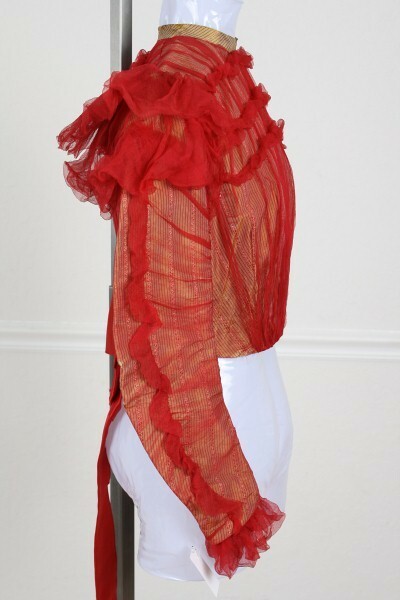 What I love about this piece is the sheer net overlay and the construction. 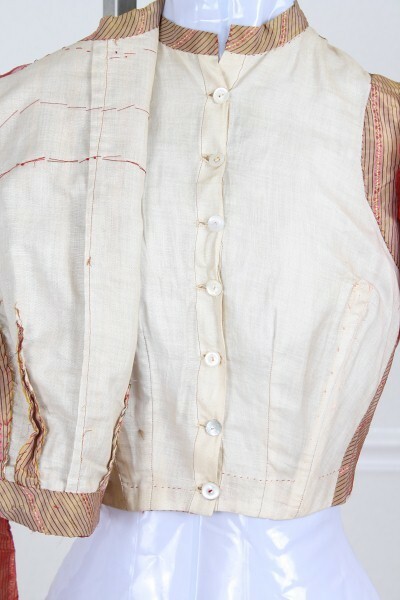 Most of the time, you see hooked front bodices rather than the buttons like in this one. 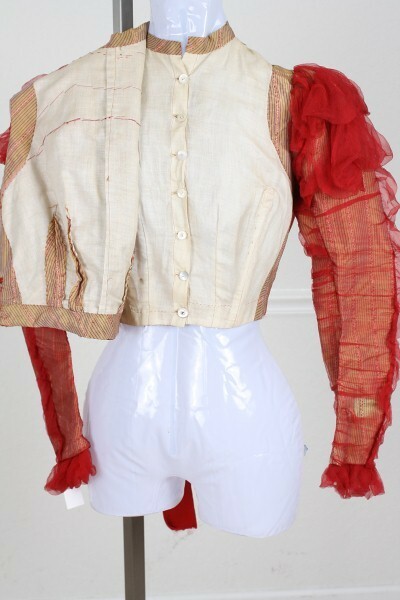 My guess is about 1899 on this so very much the tail end of the Victorian era.